Food and booze are two of life's simple, but no less great, pleasures and when the two combine, it brings on all sorts of feelings. But we may have unearthed the greatest boozy-food combo of them all and you're going to want to get in line if you're a gin guzzler and a carb connoisseur. It's no secret gin is Brits' go-to drink and while many Heston Blumenthal-types have worked their magic to boozeify our favourite sweet treats - namely, cake, ice lollies and even chocolate - so far's no one's braved the introduction of gin into the savoury world. Until now, that is. Enter: Roberts Bakery i.e. the people you have to thank for reinventing the humble teacake with a little help from our good old friend gin. 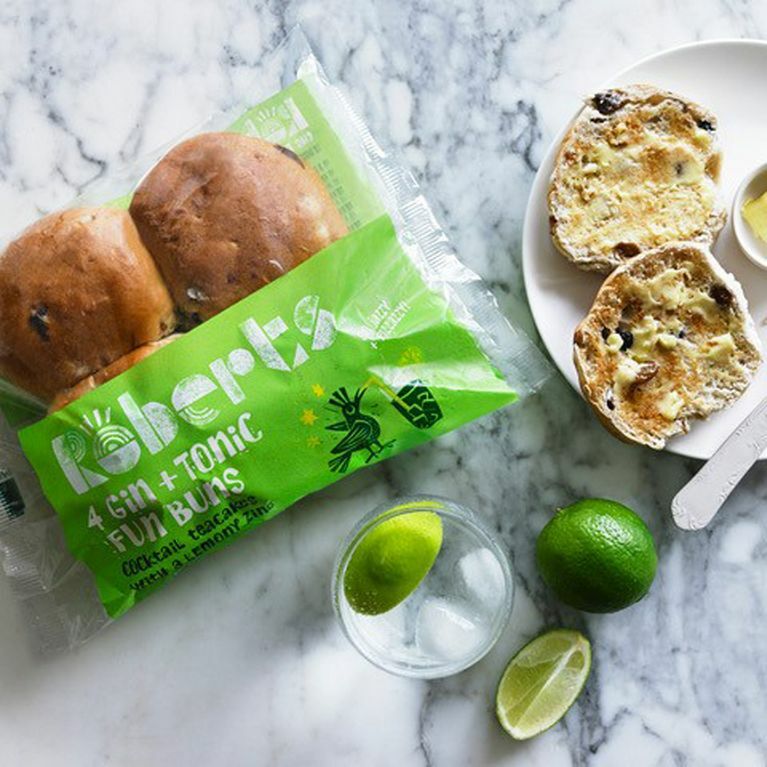 The baking babes at Roberts have blessed us with the most gin-credible booze-food hybrid yet - Gin and Tonic 'fun buns' - their words, not ours. These fun buns are set to transform tea-and-cake time from mundane to magical in just 179 calories and for just 95p per pack of four. The cakes in question contain a dash of gin and a splash of tonic to give them a lemony zing and that oh-so familiar sweet G&T smell. How are they made I hear you nosey people cry? The fruit is soaked in gin and added to the bread mixture, suggesting the taste is contained in the raisins and such to give the bready goodness a little (sometimes much-needed) kick.